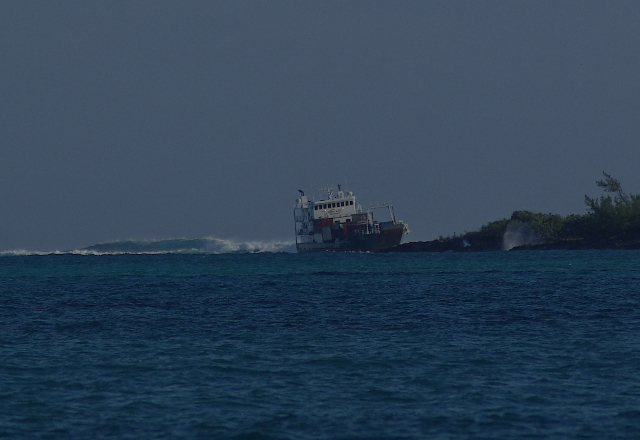 The ferry M/V Legacy went aground on a reef on Cherokee Sound near Lynyard Cay, Abaco. Reports state the Legacy was struck by a large wave which pushed the vessel onto the reef. The vessel began to take on water and the crew sent out a distress call. Personnel from the Royal Bahamas Defence Force, Bahamas Air Sea Rescue Association and U.S. Navy rescued all 18 persons aboard the M/V Legacy. No reports of injuries. Reports are unclear if the vessel will able to be salvaged or has broken up on the reef. The M/V Legacy routinely carries supplies to Abaco from Nassau.